This is the second post I've uploaded today. The semi-wrinkle washi series designed by nendo won the 2014 Good Design Award. Content: Titled "Good Design for Life - Now & 70's," the event features articles for daily use designed in the 70s and the brands of those articles. 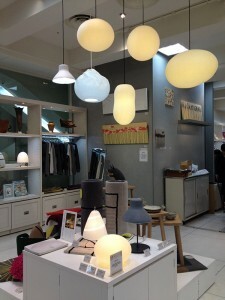 There is also a Design 2014 section, where designs for the present lifestyle that are an extension of the trend in those times are presented. 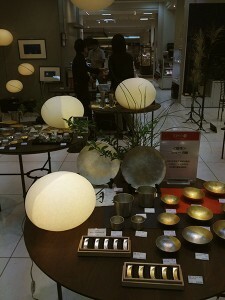 A broad range of items, from the products of Taniguchi Aoya Wahi that earned the Good Design Award and clocks and stationery of other companies, are exhibited. 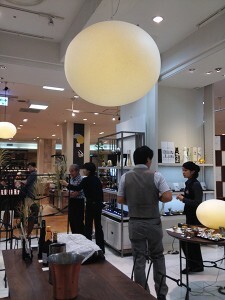 When I take photos of the event, I'll upload them later. 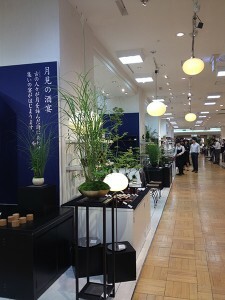 As I said in my previous post, the Good Design Exhibition starts inside the Tokyo Midtown complex. 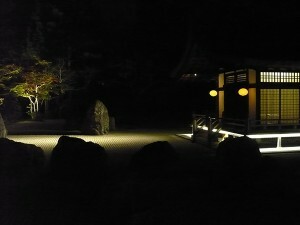 We have three consecutive holidays in autumn. 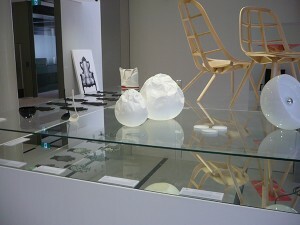 Please come and see the exhibition. We had frost this morning. Winter is approaching day by day. Sorry, this post is about an event that ended about a month ago. JETRO is holding a design exhibition, titled Hidden - Unveiling Japanese Design, at the National Design Center (NDC) in Singapore for a 22-day-period from October 3 to 24, 2014. 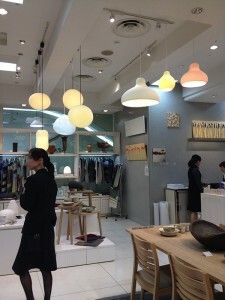 The exhibition features 64 products and designs of 40 selected small and medium enterprises in Japan. 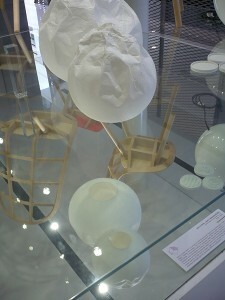 These products and designs have been selected through a strict screening by experts. The selected products will be presented under the supervision of the general producer, Mr. Oki Sato, at the attractive exhibition site that reflects modern Japan to help small and medium enterprises develop sales channels abroad. According to this plan, the exhibition took place from October 3 to 24, 2014 (the 24th was a day for business talks). 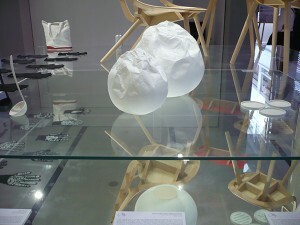 Our products were also shown at the exhibition. I hear that business talks continued without an interruption on the final day of the 24. 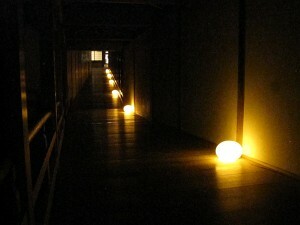 The semi-wrinkle washi was exhibited with a mirror below it, as shown below. The bottom and inside of the washi can also be seen. 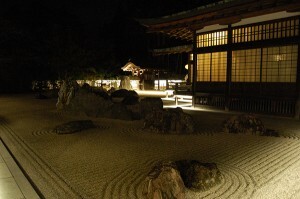 The bi-color washi was exhibited, as shown below. 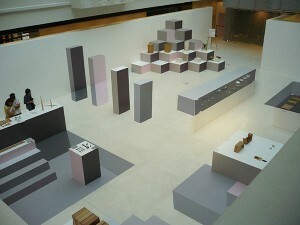 When seen from the second floor of the site, the three-dimensional flat pieces of furniture appear to stand floating. 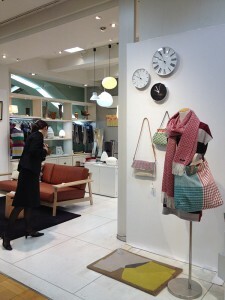 Our washi products were well received at this exhibition. 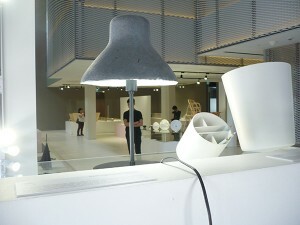 I think the event helped the people of Singapore gain a better understanding of Japan's designs, materials and techniques. It's very cold in the morning and at night these days. I think we'll have the first frost of the season before long. Today, I would like to tell you about an event that is under way despite the cold. 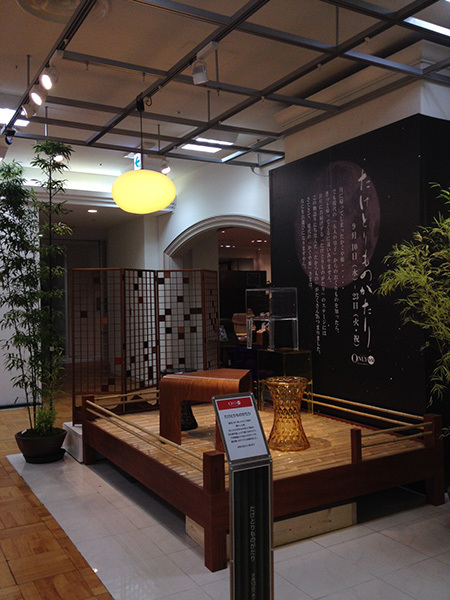 Content: Centering on Japan's traditional craftworks that can be used in modern times as well, this exhibition features articles for daily use such as lacquered tableware and wood furniture. 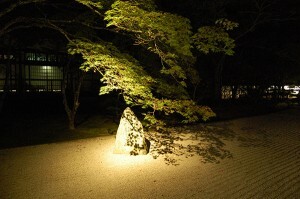 We have seamless three-dimensional washi lamps on display that help create a warm atmosphere in the house in the cold season that has just begun. Lamps of several different series are exhibited. So, come and take a look. 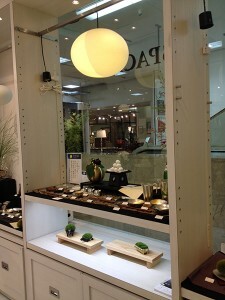 In addition to our lamps, many other cute and fashionable products are on display. 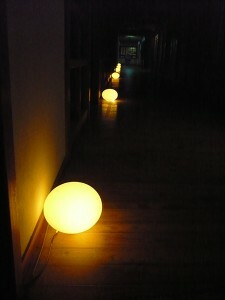 These products that decorate the inside of the house in the autumn-winter season are really worth a look.